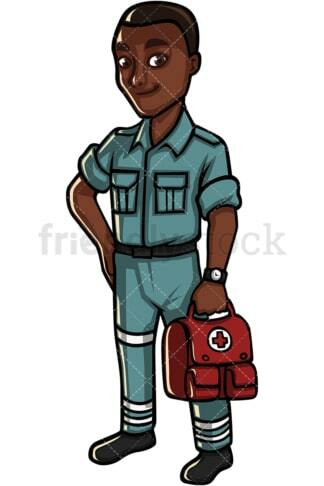 Royalty-free stock illustration of an African American male ambulance worker in uniform, carrying a first aid kit. 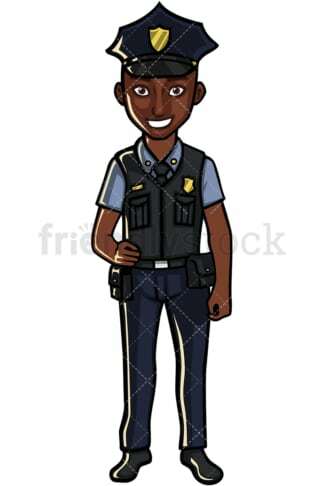 Royalty-free stock illustration of an African American male police officer in uniform, wearing a big smile on his face and looking confident. 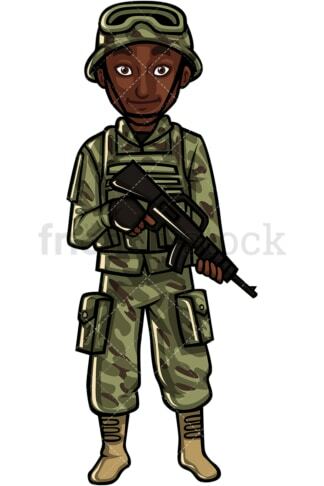 Royalty-free stock illustration of an African American male soldier in uniform, wearing a kevlar helmet and holding his gun while on patrol. 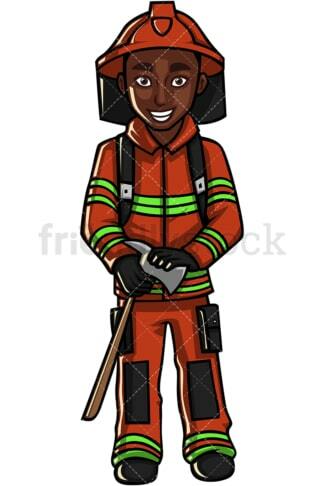 Royalty-free stock illustration of an African American male firefighter in uniform, holding an axe. Royalty-free stock illustration of an African American male commercial airline pilot in uniform. Royalty-free stock illustration of an African American male plumber in uniform. 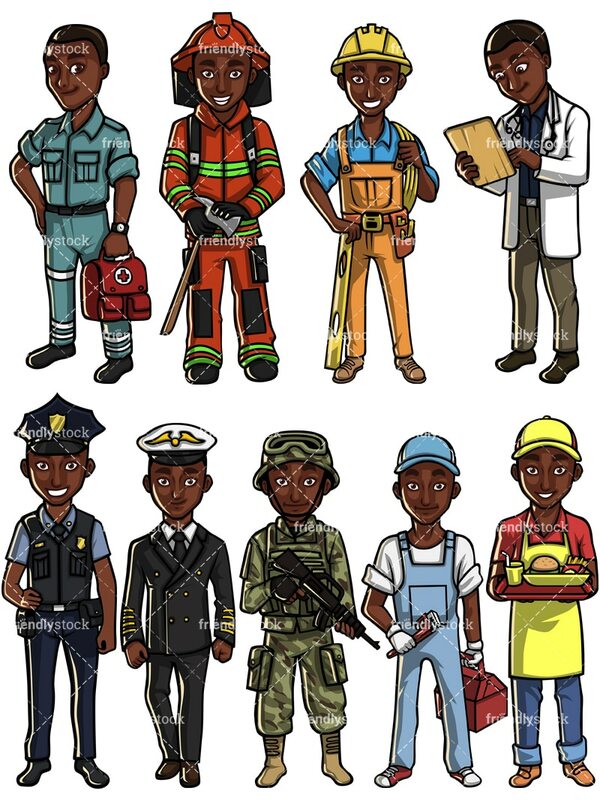 Royalty-free stock illustration of an African American male engineer in uniform, wearing a hard hat. Royalty-free stock illustration of an African American male serving food on a tray while wearing a cap hat. Royalty-free stock illustration of an African American male doctor writing something on his clipboard.